While most cases of assault involving bodily injury to another person are classified as Class A misdemeanor crimes, alleged offenders can face felony charges if the alleged victim is a child, an elderly adult, or a disabled individual. Prosecutors in Texas can aggressively pursue maximum punishments in these cases because the alleged victims are often viewed as having been unable to protect themselves. State law regarding these types of crimes uses some extremely subjective terms, often allowing for people to be wrongfully charged with having injured a child, elderly individual, or disabled person without criminal intent or any actual injury. The Texas Penal Code, however, does establish certain affirmative defenses that mitigate or prohibit legal consequences of alleged criminal actions. If you believe that you are the possible target of a criminal investigation or you have been arrested for allegedly injuring a child, an elderly adult, or a disabled individual, it will be in your best interest to immediately retain experienced legal counsel. 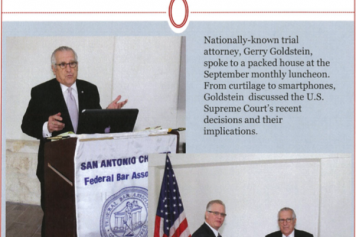 Goldstein, Goldstein, Hilley & Orr has been aggressively defending clients against criminal charges throughout San Antonio and Bexar County since 1968. San Antonio criminal defense attorneys Gerry Goldstein and Cynthia Orr are both dual Board Certified in Criminal Law and Criminal Appellate Law by the Texas Board of Legal Specialization, Van Hilley is a former president of the San Antonio Bar Association, and Don Flanary serves on the Board of Directors of the Texas Criminal Defense Lawyers Association (TCDLA) and the San Antonio Criminal Defense Lawyers Association (SACDLA). Our lawyers can review your case as soon as you call (210) 226-1463 or submit an online contact form to take advantage of a free, confidential consultation. What is the difference between a bodily injury and a serious bodily injury? How are these crimes classified? Where can I learn more about protection for children, senior citizens, and disabled individuals in Texas? Child — A person 14 years of age or younger. Elderly Individual — A person 65 years of age or older. Disabled Individual — A person with autism spectrum disorder, developmental disability, intellectual disability, severe emotional disturbance, and/or traumatic brain injury, or a person who otherwise by reason of age or physical or mental disease, defect, or injury is substantially unable to protect the person’s self from harm or to provide food, shelter, or medical care for the person’s self. People who are deemed responsible for causing bodily injury, serious bodily injury, or serious mental deficiency, impairment, or injury to a child, elderly individual, or disabled individual can face serious criminal penalties. Owners, operators, and employees of group homes, nursing facilities, assisted living facilities, intermediate care facilities for persons with mental retardation, or other institutional care facilities can also be charged under Texas Penal Code § 22.04(a-1) when alleged victims are residents of such group homes or facilities. If an alleged offender recklessly causes bodily injury to a child, elderly individual, or disabled individual, or the alleged victim suffers bodily injury, serious bodily injury, or serious mental deficiency, impairment, or injury as the result of the negligence of an alleged offender, it is a state jail felony punishable by a maximum sentence of two years in jail and/or a maximum fine of $10,000. If an alleged offender intentionally or knowingly causes bodily injury to a child, elderly individual, or disabled individual, it is a third-degree felony punishable by a maximum sentence of five years in prison and/or a maximum fine of $10,000. If an alleged offender recklessly causes serious bodily injury or serious mental deficiency, impairment, or injury to a child, elderly individual, or disabled individual, or an alleged offender intentionally or knowingly causes bodily injury to a disabled individual residing in a state-supported living center or licensed health facility when the alleged offender is an employee of the center or facility providing direct care for the alleged victim, it is a second-degree felony punishable by a maximum sentence of 20 years in prison and/or a maximum fine of $10,000. If an alleged offender intentionally or knowingly causes serious bodily injury or serious mental deficiency, impairment, or injury to a child, elderly individual, or disabled individual, it is a first-degree felony punishable by a maximum sentence of 99 years or life in prison and/or a maximum fine of $10,000. Texas does allow for a number of affirmative defenses in these cases that can mitigate or eliminate legal consequences in certain cases, but these are extremely specific—such as an alleged offender being a victim of family violence. Alleged offenders facing these charges should be sure to have knowledgeable attorneys review their cases to determine whether they may be able to utilize such defenses. 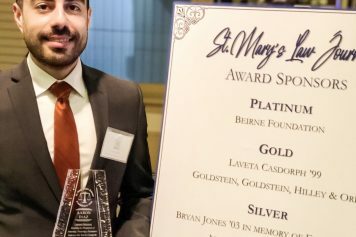 Senior Texans | Texas Attorney General — The Attorney General of Texas investigates alleged abuse, neglect, and financial exploitation of seniors in long-term care facilities that receive federal Medicaid funds. The agency also takes legal action against nursing homes, assisted living facilities, and home health care agencies that violate state and federal standards. On this section of the Attorney General website, you can learn more about elder abuse, the rights of the elderly guaranteed under Texas Human Resources Code § 102.003, and ways seniors can protect themselves. Texas Penal Code | Title 5, Chapter 22 — You can review the full text of the statute for injury to a child, elderly individual, or disabled individual under Section 22.04 on this website. The subsections of the statute specifically discuss affirmative defenses and written notification requirements. Were you arrested for allegedly injuring a child, elderly person, or disabled individual in Texas? You will want to immediately contact skilled criminal defense attorneys in San Antonio. Goldstein, Goldstein, Hilley & Orr works tirelessly to help clients accused of violent offenses get charges reduced or completely dismissed. Call (210) 226-1463 or complete an online contact form right now to have our lawyers evaluate your case during a free consultation.